// Prints "Hello, World" to console. Have you ever used it here? 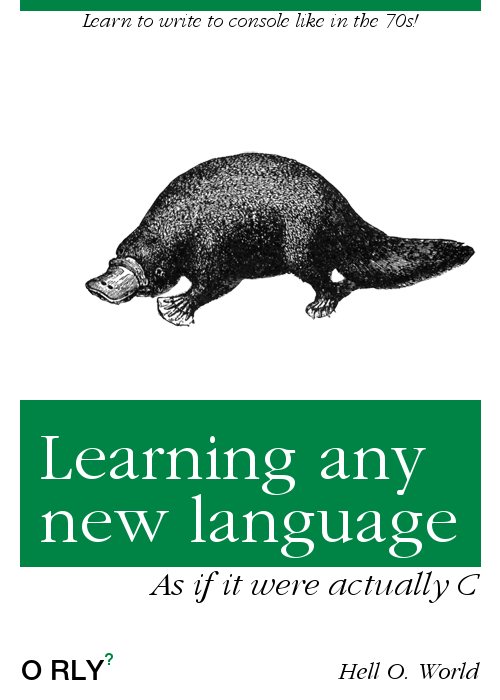 Taken mainly from my article Programming: we're doing it wrong. You will probably learn 2-3 languages in the next future. Probably by yourself. Once you've done it, try and rewrite tutorials the way you would have liked to do it. Teach your coworkers. Teach your family! There are not so many people programming, or programming well, and they need you for this. Just be change!